52 +/- acres of beautiful rolling farmland. Property is fenced and cross fenced with underground water to all pastures. There is a Large barn with a 14x60 loft area that can be finished. Has septic, water and electric. Has a well but city water is available if you prefer. Property has a creek and a large pond. 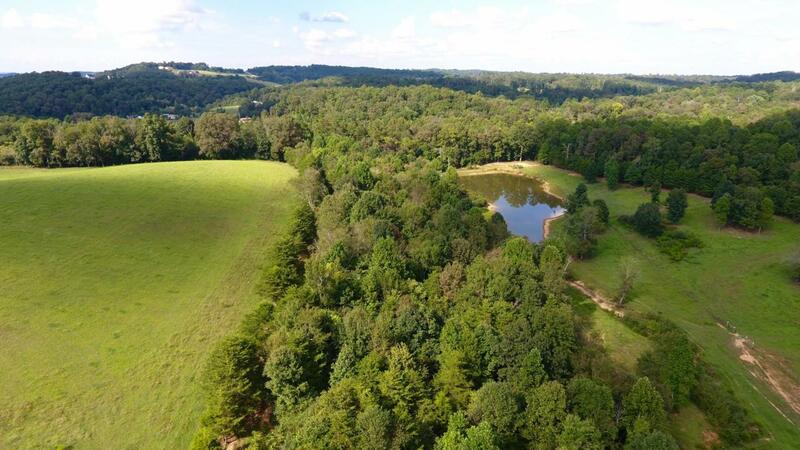 No need to drive somewhere to hunt, this property has deer and turkey on it! This is part of a larger tract that is being divided or can be bought as a whole. Seller is negotiable as to how it can be split. The 2nd parcel available, MLS #1055744 has possible income producing potential, it has approx 4.25 acres in muscadines and a 3 bed 2 bath mobile home with a studio apartment built on backside. Possible owner financing available.